Affectionately known as “The Village by the Sea,” Carlsbad is a hidden gem tucked along the Southern California coast, nestled in northern San Diego county. Strikingly beautiful and just minutes from the beach, Carlsbad is a resort town, and a retreat for many – but for you, it could be the perfect place to call home. If you live in Carlsbad, keeping your family entertained is the easiest thing in the world. Remember those long drives or flights to reach your theme park destination, where you were so tired once you got there, you wanted to do nothing but check into your overpriced hotel and go back to sleep? With LEGOLAND and the SEA LIFE Aquarium just around the corner off I-5, you don’t have to worry about that. Instead, you can spend your time enjoying one of the many activities these thrilling attractions have to offer, without the added cost and stress of travel. Many people dream of living by the ocean one day, and for you and your family, that can be a reality in Carlsbad. With countless access points and beach attractions just minutes away, the world really is your oyster. Visit Tamarack Beach for windsurfing or scuba diving, or South Carlsbad State Beach for a camping trip, where you can roast marshmallows around one of the provided fire rings. When the beach is this close, you can take advantage of everything it has to offer, whenever you want. Looking to purchase new modern comforts for your home? 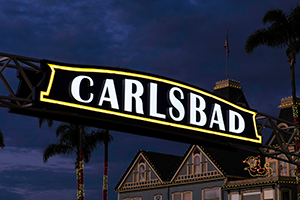 The Shoppes at Carlsbad has you covered, featuring many of your favorite dining and shopping locations. If you’re looking for something a bit different, don’t miss the Village Art & Antique Mall, with over 100 unique dealers, and an exciting street fair style atmosphere. Fashion aficionados will find themselves at home, too, at the Carlsbad Premium Outlets, which features some of the biggest names in style. That’s not to mention the city’s beautiful hiking trails, and endless outdoor activities available, as well as a booming industry, and vibrant community. Ready to make “The Village by the Sea” your new home? 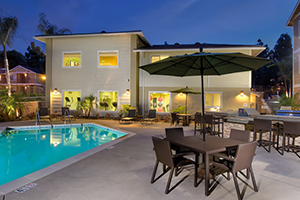 Come visit us, and take a tour of our luxury apartments at The Reserve at Carlsbad!